Home » Community Giving Programs » Go zero waste this weekend! Go zero waste this weekend! 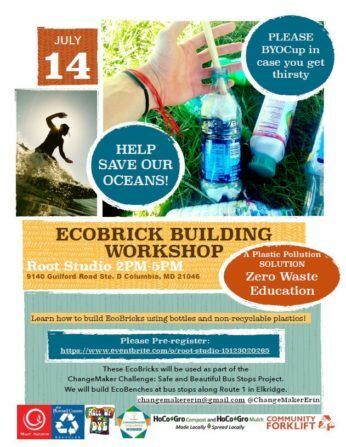 This Saturday, July 14th, join Jane, Forklift’s resident bottle brick expert, and Erin, our Community Building Blocks partner, for an afternoon of eco-education and hands-on experience, helping to build bottle bricks out of non-recyclable, non-biodegradable plastics! 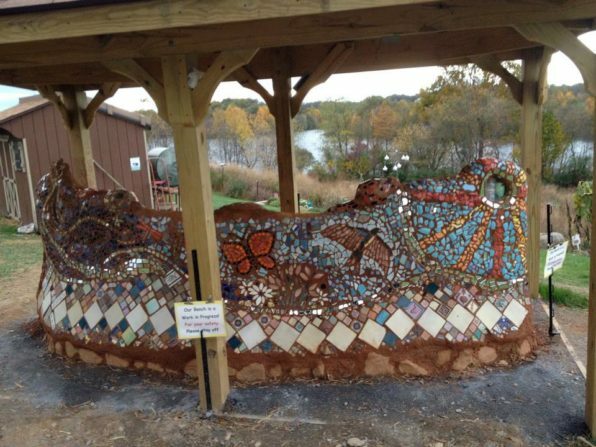 The bottle bricks produced during this workshop will be used to build a bench for bus riders and pedestrians along Route 1. Attendees are encouraged to bring their own reusable drinking containers. Free registration and more information are available through EventBrite. To find out what goes into a bottle brick, watch this video.